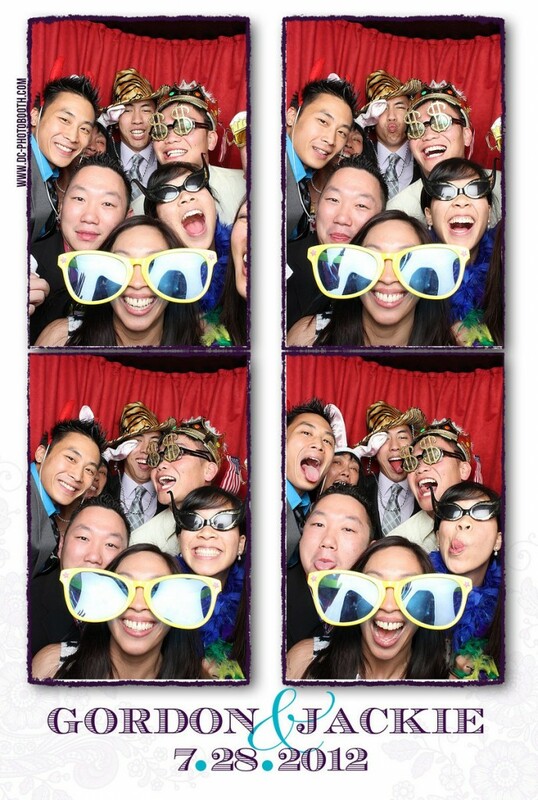 DC Photobooth was lucky enough to be invited by Jackie and Gordon to celebrate their marriage this past Saturday. 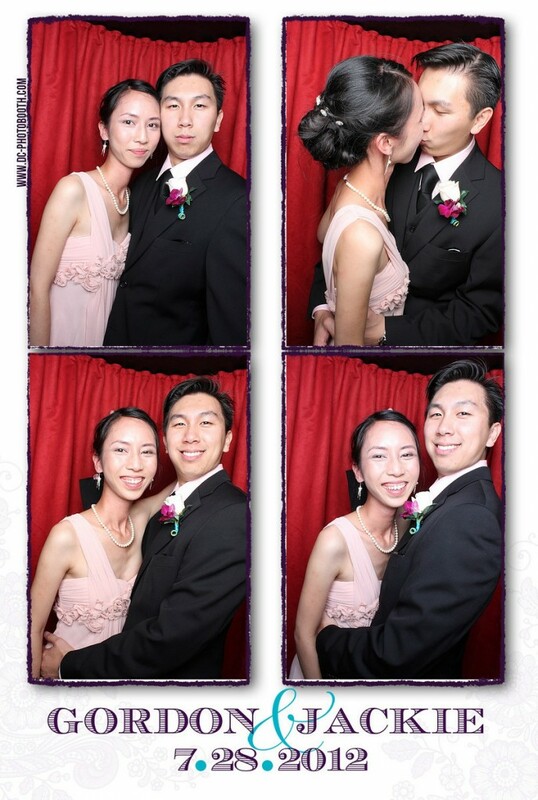 After a traditional Chinese tea ceremony, Jackie and Gordon along with their friends and family returned to the beautiful Kentlands Mansion in a quiet area of Gaithersburg, Maryland (about an hour from Baltimore, Maryland) for an evening of dancing, cake eating, and photobooth fun! 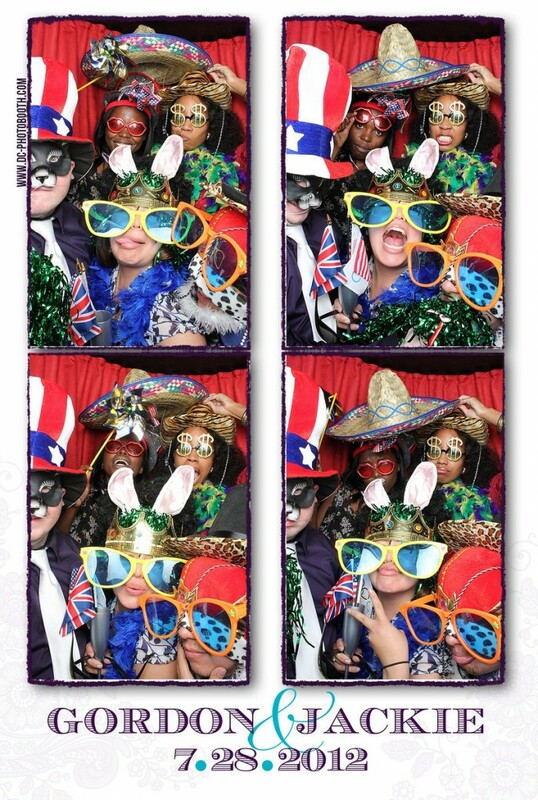 We had a fantastic time hanging out with everyone, and they all seemed to really enjoy the photobooth! 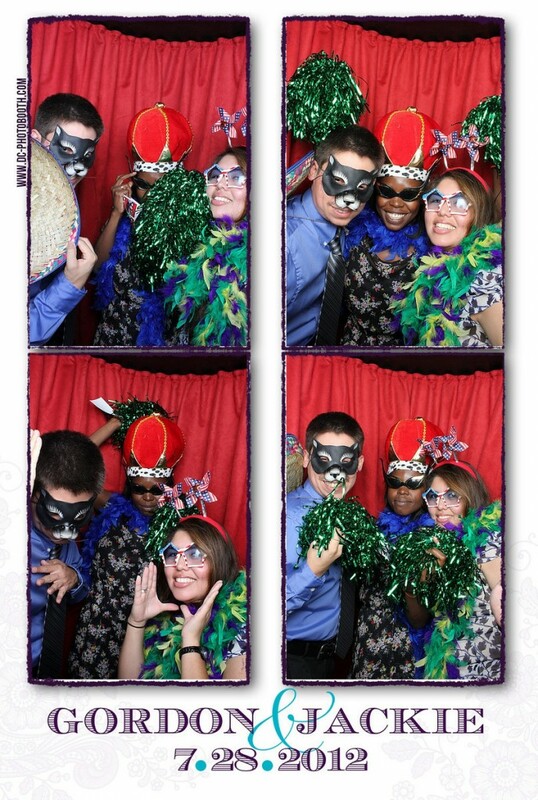 We met some great people, including an awesome photographer, and saw some new photobooth challenges! Here are some of our favorites from the celebration! 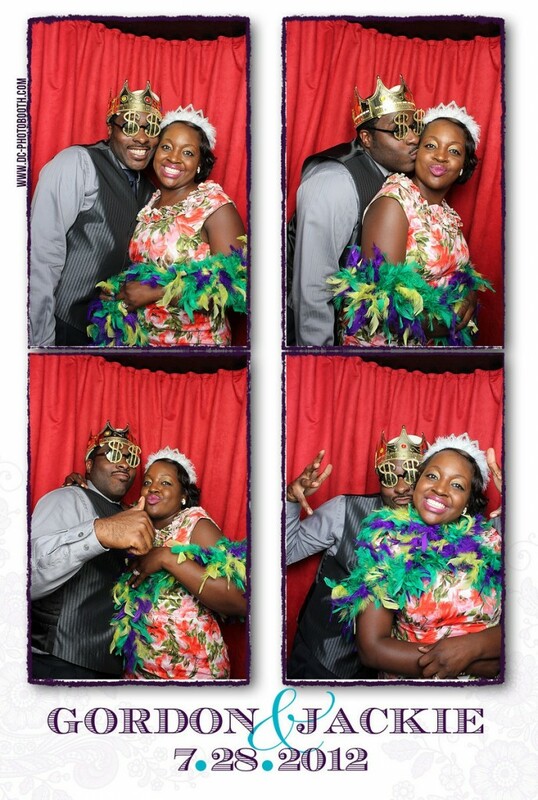 The bride and groom had a great time with the photobooth! Trying out new props and poses each time. 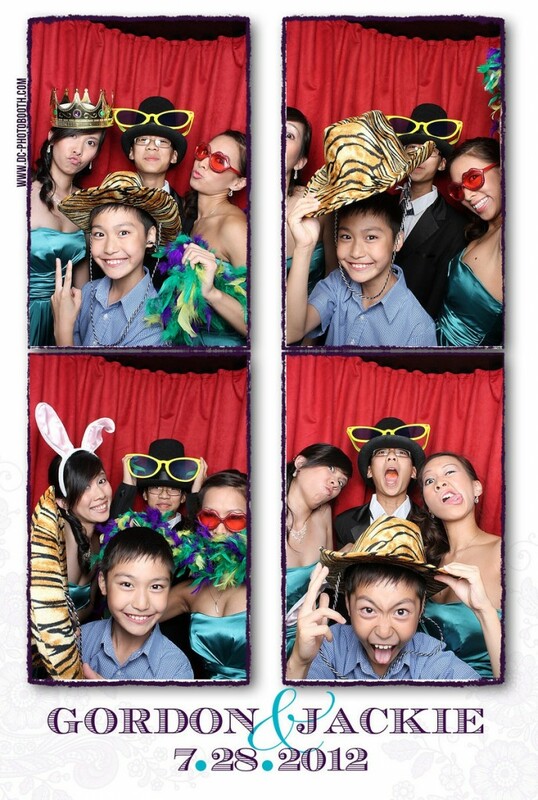 Their family and friends seemed to really enjoy the photobooth as well! This was definitely one of our favorites! Everyone loved the silly glasses. 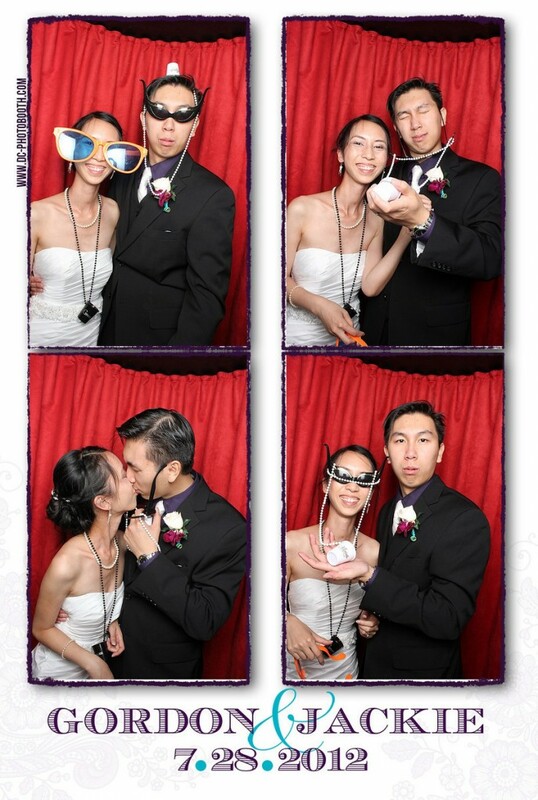 Their goal: get ALL of the photobooth props we brought in the booth at one time. I'd say they succeeded. Awesome idea! 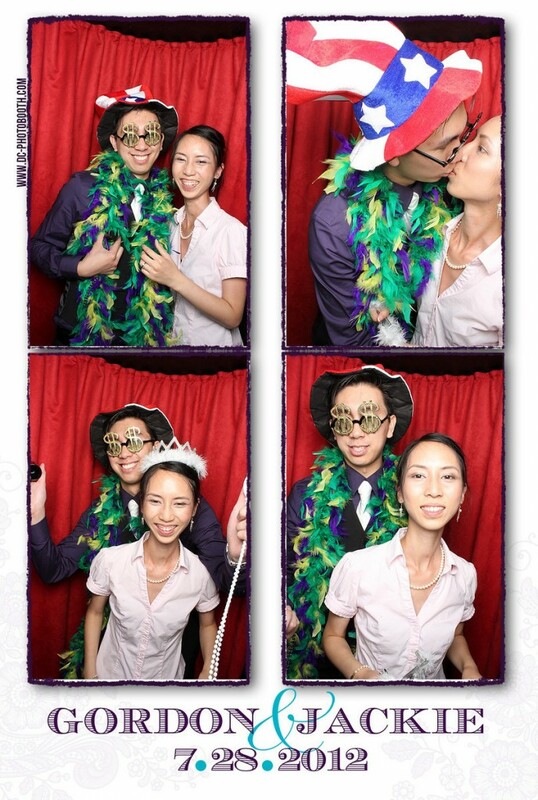 More of the bride and groom enjoying the photobooth! We mentioned before that we met an awesome photographer. Her name is Laura Kuah and she runs Laurentina Photography. She knew the Jackie, the bride, from elementary school and the 2 have kept in contact ever since! Laura was amazing at Jackie and Gordon's wedding on Saturday (see her blog post). 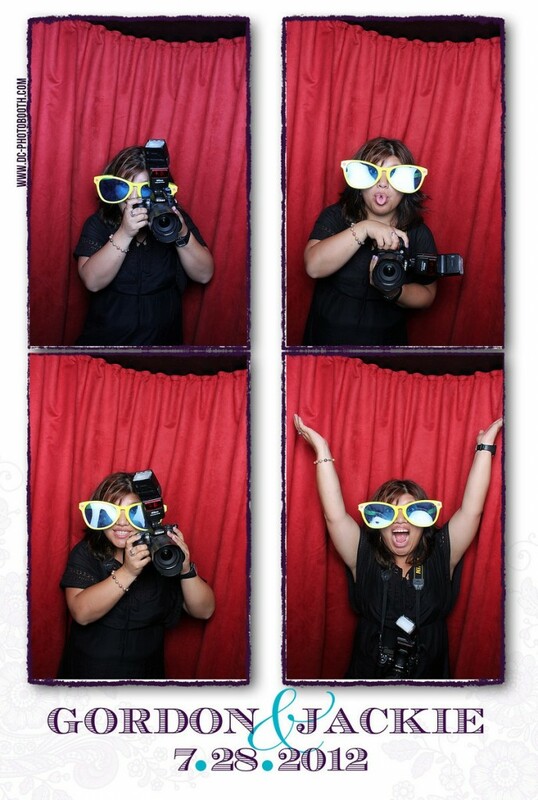 She was everything you could want from a wedding photographer: very professional while being extremely fun! Plus, her shots were amazing from the event. We would highly recommend Laurentina Photography for a wedding or any other event where you want a fun, talented photographer.